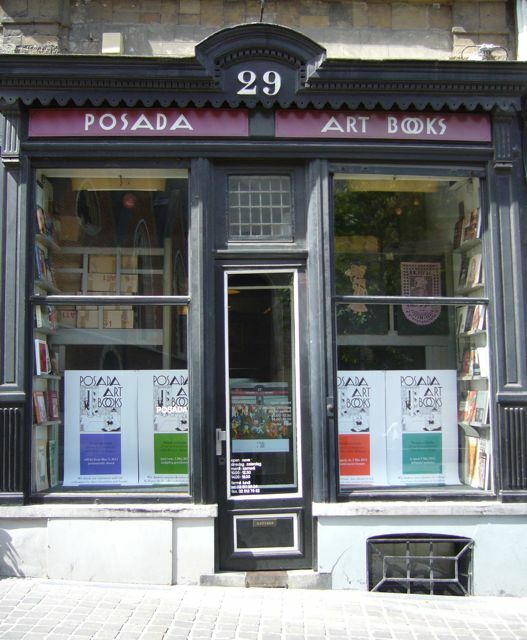 I knew it was coming, but I was sad to see that Posada, a bookshop in the centre of Brussels specializing in art books, had permanently closed its doors a few weeks ago already, on 3 May. Named after the Mexican cartoonist and artist José Guadalupe Posada, the shop had been run by the owners, Ada and Martijn Oleff, for more than 30 years. Their collection of books, which totalled more than 30,000 volumes, has been taken over by Librairie Michel Descours in Lyon. For what it’s worth, Posada was ranked one of the ten most beautiful bookshops in the world by The Guardian in 2010. I say “for what’s it worth”, since these rankings are often pretty meaningless. But Posada certainly was beautiful, and one of the most special bookshops I’ve ever been in. I didn’t shop there often, since art books aren’t really my thing, but it was a real pleasure just to be able to browse there, and to know that such a place existed, a place that had been there for many years, that had not been renovated in as many years, that did not have to follow the latest trends, and that was run by people who cared about and knew their books so well. It will be sadly missed. On a more joyful note, one of Posada’s staff members will be opening a bookshop specializing in twentieth-century art in early September. More on that in due time. Update: Laurent Bouchat was kind enough to update me on the new shop: Laurent Bouchat – Livres d’Art XXe siècle, 65 C rue de la Régence, 1000 Brussels. Open from Wednesday to Saturday, from 12:00 to 18:00. Check out the shop’s Facebook page. You can contact Laurent Bouchat at this e-mail address: laurentbouchat@gmail.com. 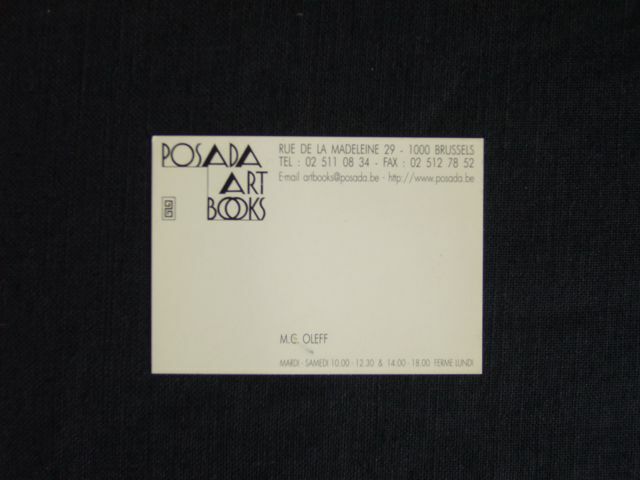 This entry was posted in Bookshops, Brussels and tagged Bookshops, Brussels, Posada Art Books. Bookmark the permalink.